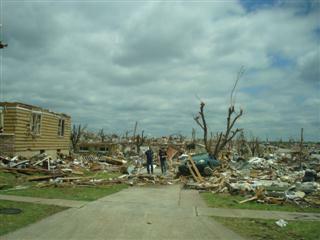 Community Service « Home Rental Services, Inc.
Our team at Home Rental Services believes that it is important to recycle. If you have known us for very long, you have seen that we are raving fans of the Ronald McDonald house pop-tab and key recycling program. We have found a great resource for all recycling called RecycleSpot.org. 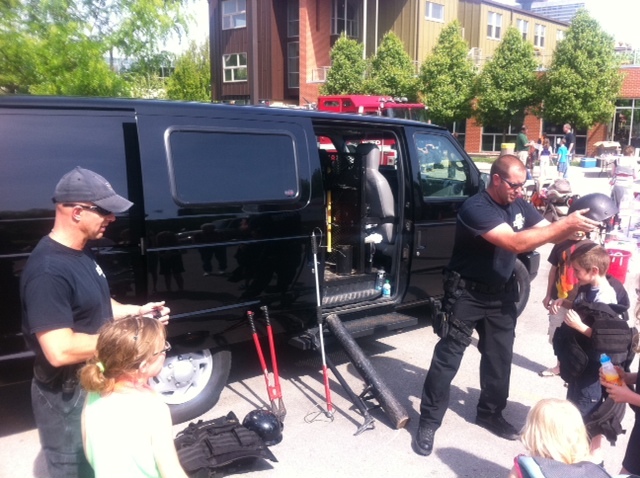 They can help you figure out what to do with all kinds of waste including hazardous materials (paint and varnish), technology (computers and old TVs) as well as glass, yard waste and old prescription drugs. One of the best features about their web site is the ability to search by material, community or service provider. In other words, you can type in GLASS and your zip code to find where to recycle glass nearby. Kandy connected the dots between key and pop-tab recycling and RecycleSpot.org. Apparently, RecycleSpot.org didn’t have a good referral partner for old keys… which is perfect for the Ronald McDonald house! Kandy did an introduction and they are talking to see how they can work together. How cool is that? If you have any tips on recycling or appreciated us telling you about RecycleSpot.org, please leave us a comment below! Pop Tab Pandemonium 2012 – 10,000 Pound Goal Reached! 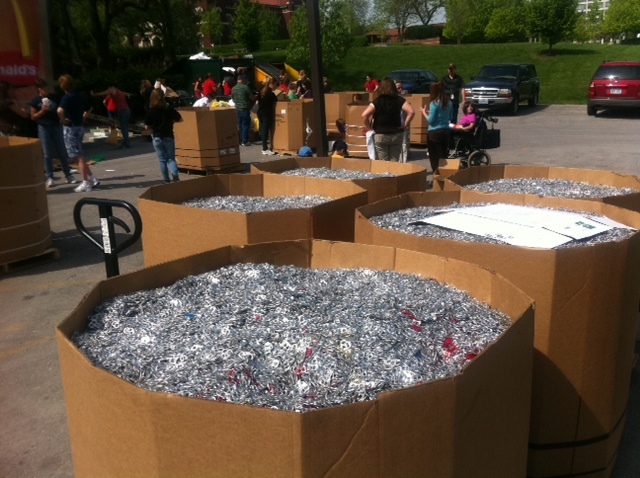 Every year, we support the Ronald McDonald House through their Pop-Tab Pandemonium event. It was this past Saturday, May 12th. We took a bunch of old keys and collected pop tabs to donate! 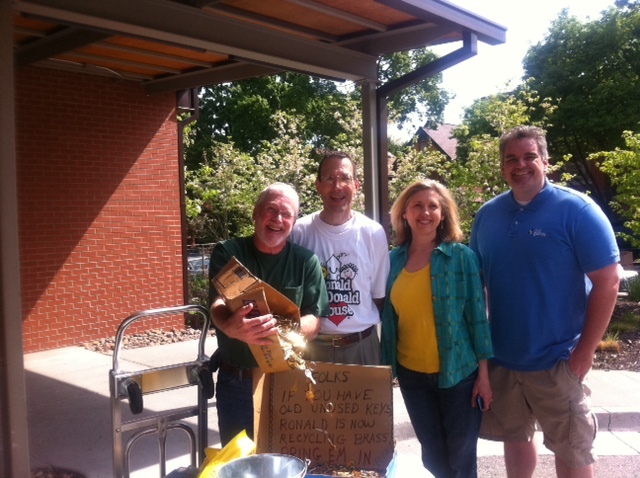 We followed up with Allen at the Ronald McDonald House and they collected 10.5 tons of pop tabs! 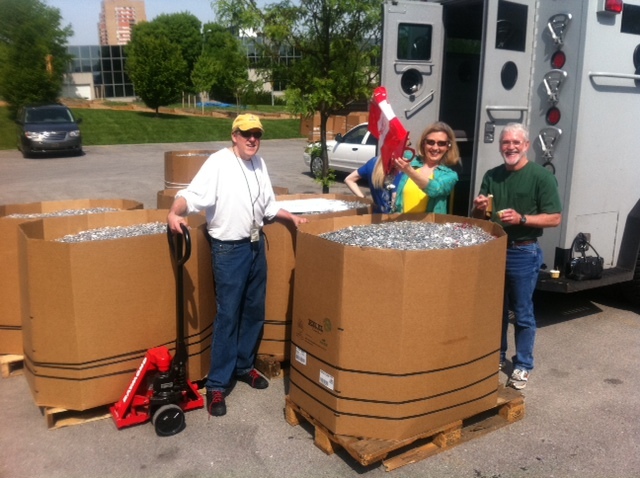 It is amazing to see huge cardboard bins full of pop tabs from beverage and soup cans! Pop-Tab Pandemonium is an opportunity for groups and individuals across the metro area to visit the Ronald McDonald House and drop off pop-tabs. An important source of funding for the Ronald McDonald house is the collection of pop can tabs and brass keys. The pop can tabs have a high percentage of aluminum and are worth more as scrap than the rest of an aluminum can. The brass keys are valuable as well for scrap. Ronald McDonald house works with a local scrap metal company to convert the tabs and keys to cash to support their programs and services. As the holidays approach, we think it is important to take a minute out of our busy schedules with family and work to give back. We are all blessed in so many ways that it is important to remember those less fortunate. We have a special place in our hearts for children in tough situations, so we do our best to make a difference for kids. Each year, we partner with a not-for-profit that helps children. 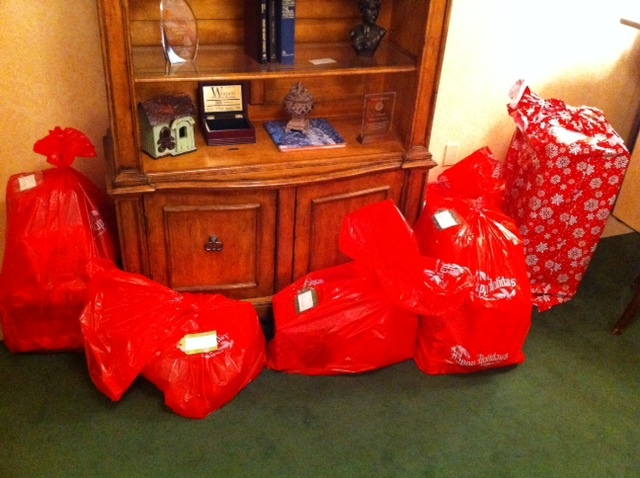 This year, we have partnered with KVC to adopt ten children that normally would not receive presents for Christmas. KVC Kansas is a private child welfare provider to Social and Rehabilitation Services (SRS) of Kansas. In addition, we provide a wide array of services for children and families throughout the state including foster care, adoption, outpatient and inpatient behavioral health care. The fun begins with an all-hands-on-deck meeting at Wal-Mart where our Home Rental Services team runs around filling shopping carts with things from the wish lists of the kids. After the shopping is done, we go to dinner together. This year, we all went to Cinzetti’s on Metcalf and enjoyed some great Italian food together. 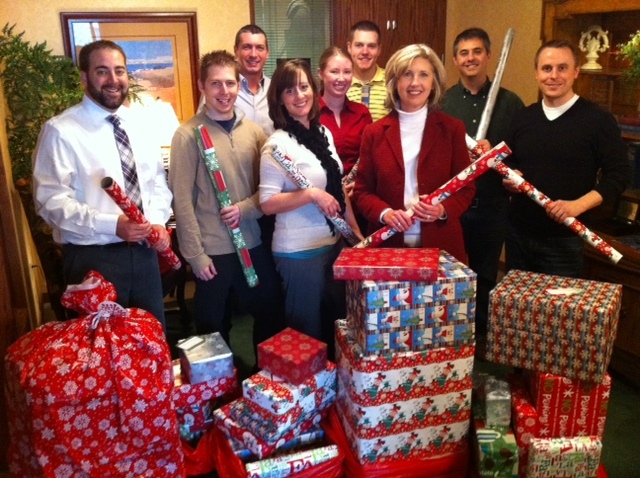 After the presents are bought, we set aside a morning to wrap them together in our office at College and Metcalf. 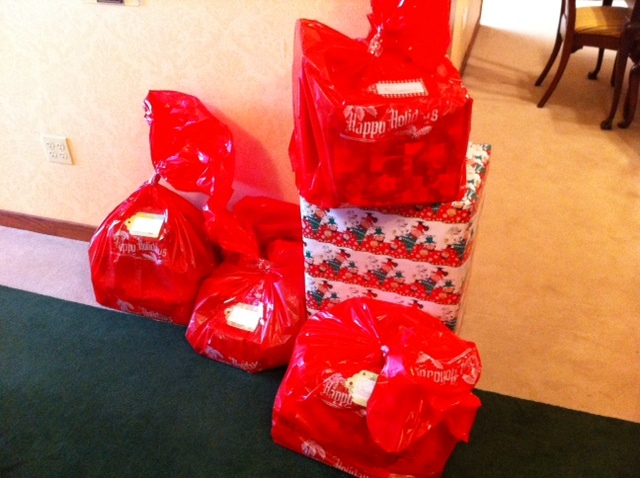 The end result is that we are making a difference for some kids that need to be reminded that they are loved. It is a team building experience for everyone that works at Home Rental Services. It is also a great reminder to have perspective as the year comes to an end. It isn’t all about presents and parties. 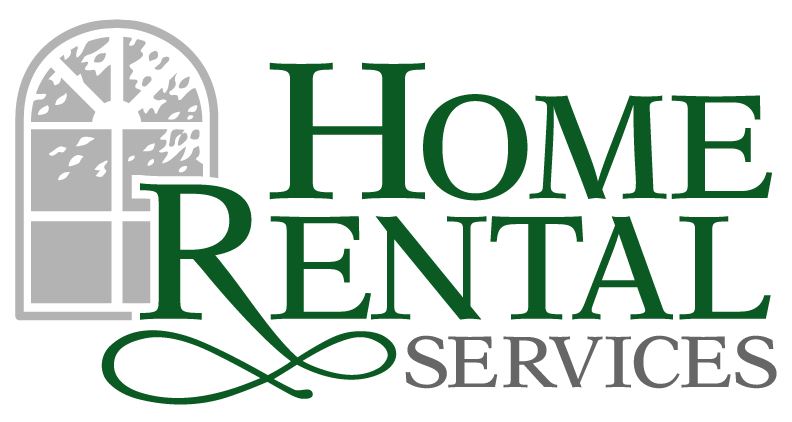 We appreciate our team at Home Rental Services. Everyone works hard to make our Owners and Renters happy. We are also proud to see them go above and beyond when giving back to the community. Paul is a Property Manager for Home Rental Services. 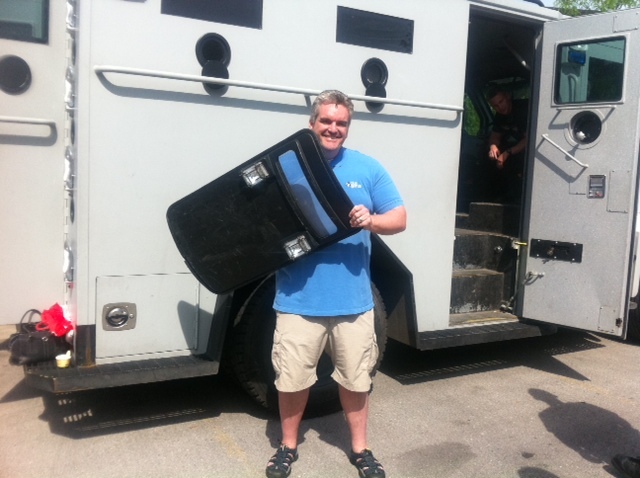 Recently, Paul volunteered a day of his time to go to Joplin to help with the cleanup efforts. 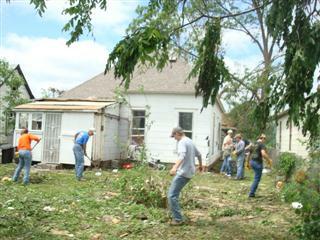 He went with his church, Garnett Nazarene, part of a larger group of Nazarene churches representing almost 600 people that volunteered to help. The pictures below include one of the houses that Paul’s team worked on… there is a before and after picture. It took them almost two hours to clear the brush in just one yard. 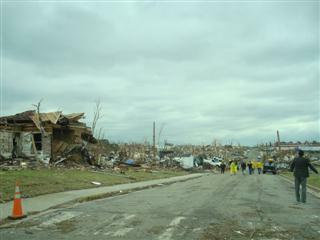 The other pictures give you a sense of the damage that was done. 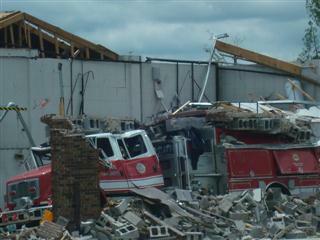 The crushed fire truck. 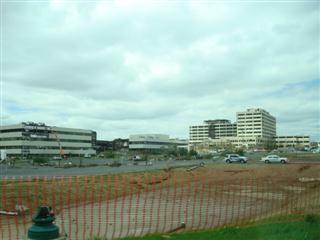 The hospital full of holes. 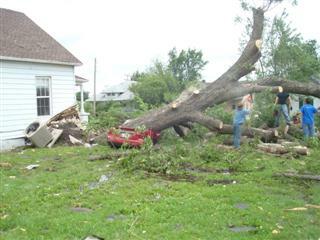 A red sports car crushed by a tree. 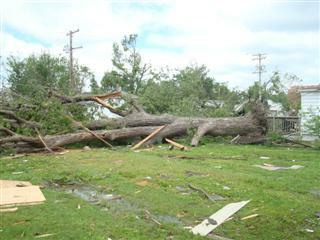 Paul took dozens of pictures because you rarely see this kind of damage. There were 2×4 boards stuck into the sides of stores that had been blowing around before being embedded like an arrow. Gigantic trees that had been standing for decades completely uprooted, leaving a hole full of water. When something of this magnitude happens, especially so close to home, it is important to do what you can to help your neighbor. 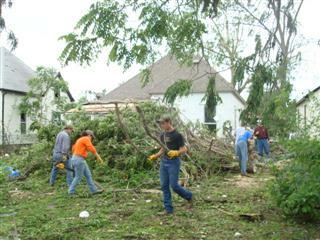 Paul demonstrated that in his volunteer efforts. We appreciate that Paul has taken action instead of thinking about all the reasons why he might not have time to help. If you would like to help, whether it is monetary or physical labor, there are a ton of ways you can get involved. 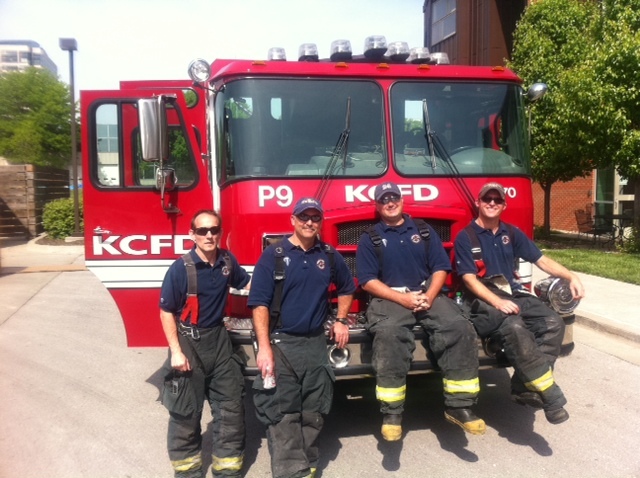 The Kansas City Star has a great article on specific ways you can help.